Welcome to our practice, and thank you for selecting us for your orthodontic care! Milestone Orthodontics has been in the community for over 30 years, establishing strong, personal relationships with our patients and their families. Your first visit will take about an hour, where you will meet our friendly team and we will take your digital x-rays and photos. We will perform a thorough examination and review your clinical diagnosis. I will be sure to explain in detail any treatment recommendations, and if you are a good candidate, we will get started. Below you will find links to our new patient and medical forms, my bio, financing information, our eBrochure, and directions to our office. Please bring the completed forms prior to your first appointment to expedite the process and reduce your waiting time. If you have orthodontic insurance, please bring your insurance information as well. Again, we welcome you to our practice and look forward to seeing you during your complimentary orthodontic consultation! 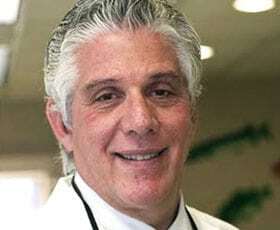 Dr. Matthew Milestone, DMD, P.A.